Last week, Shepherd organized an event at Laurier giving ex-Rebel Media host Faith Goldy a platform to ramble about immigrants and the collapse of the white race. Goldy was fired from Rebel Media after she attended a white supremacist rally in Charlottesville, praised a manifesto demanding an “ethno-state” for the “Aryan” race and later appeared on a neo-Nazi podcast. In a “video statement” published Friday on YouTube, the alt-right campus activist disavowed “the Left” for what she feels is unfair criticism of “white nationalism” – a blatantly racist belief that Canada should become a whites-only nation-state. 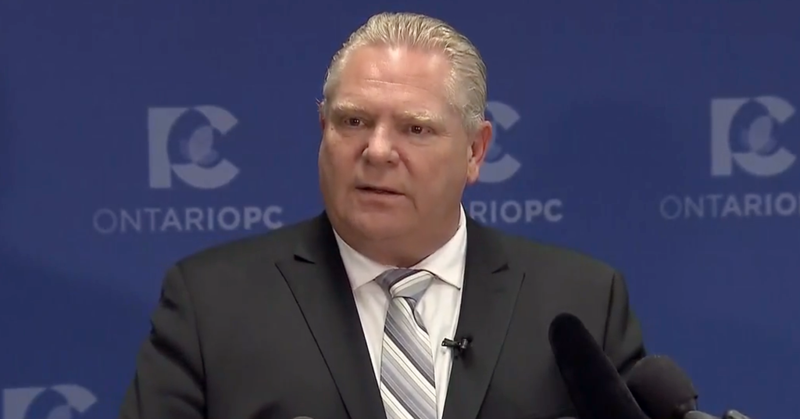 “Faith Goldy, to my understanding,” Shepherd says, is “not a white supremacist and she’s not a neo-Nazi,” before criticizing “the Left” for lumping white nationalists in with white supremacists . Still, even after reflecting on “the nuance” between racial purity and racial superiority, it remains unclear why Shepherd has chosen this hill to die on. In fact, in an article published in Maclean’s, Shepherd herself claimed Goldy wants Canada to become a “white ethno-state” – Shepherd needs more “nuance” than that? 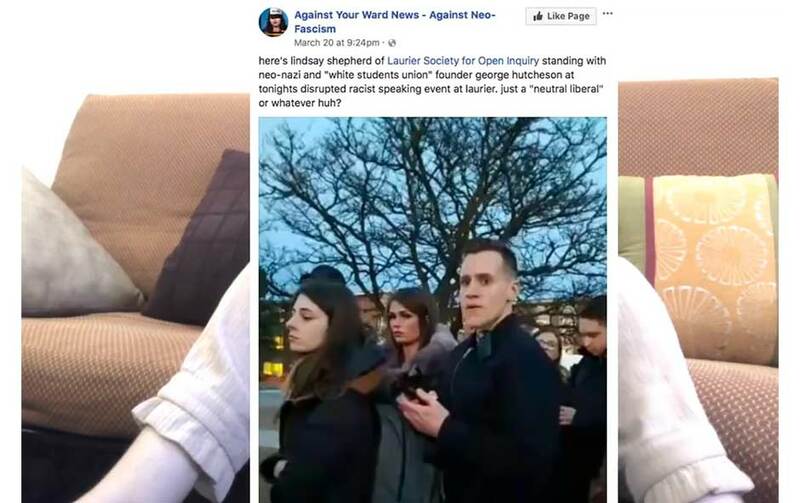 However, the video appears to be motivated in response to local anti-racist groups who have been circulating photos of Shepherd and Goldy guarded by an entourage of white nationalist thugs. “An image like this would be very damaging for someone who wants to get a job in government or social services or who wants to work with children,” Shepherd says about the photos circulating on social media. More immediately, the photos could be damaging to Canada’s right-wing pundits, who frequently point to the alt-right activist as a hero of the culture wars. 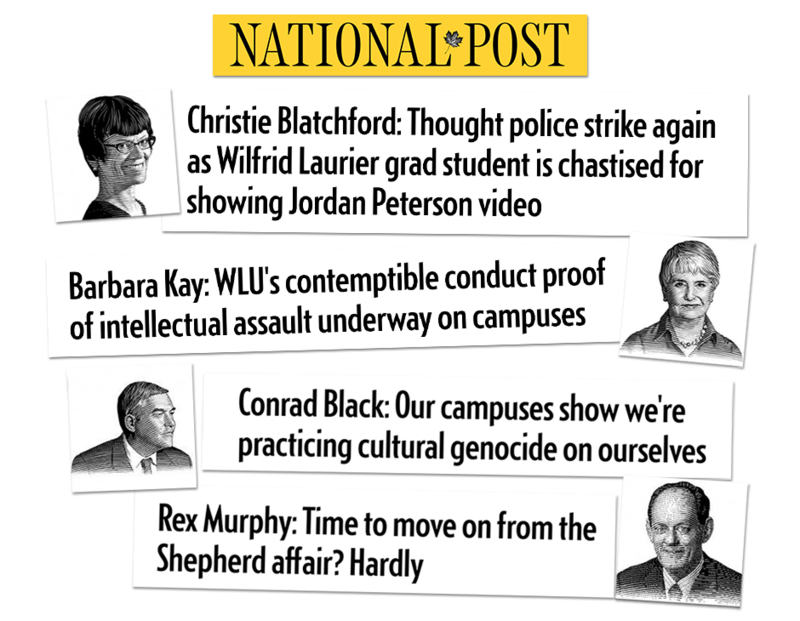 Shepherd was vaulted onto the national scene in November 2017, thanks largely to an ideologically-driven campaign led by the National Post – the newspaper and its Postmedia affiliates dedicated more ink to Shepherd’s fight with WLU than any other outlets in Canada. Not only was her story first reported by the National Post’s Christie Blatchford, but the National Post’s entire stable of opinion columnists co-opted the story to rail against “social justice” and “feminism” on campus for the next month. 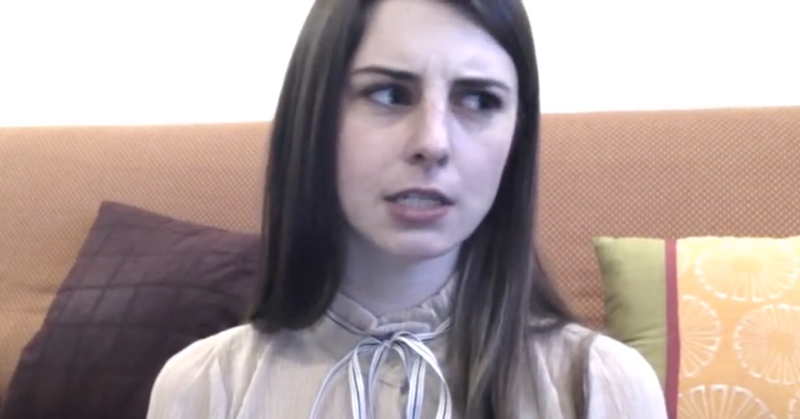 In the video, Shepherd vehemently denies she has a “right-wing agenda” and points to the fact she does not own a car as proof of her “lefitst” street cred, before her recent rebrand.